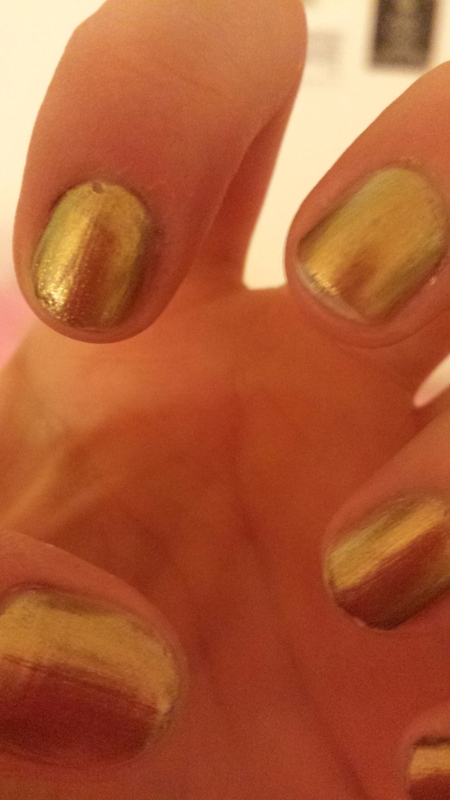 I wish I could lie and tell you that the only reason I am wearing a shiny coat of yellowy-green, puke-colored shiny polish on my nails was in honour of Halloween on Thursday. I wish I could lie and tell you I am not enjoying the metallic colour shimmering when the light hits it. 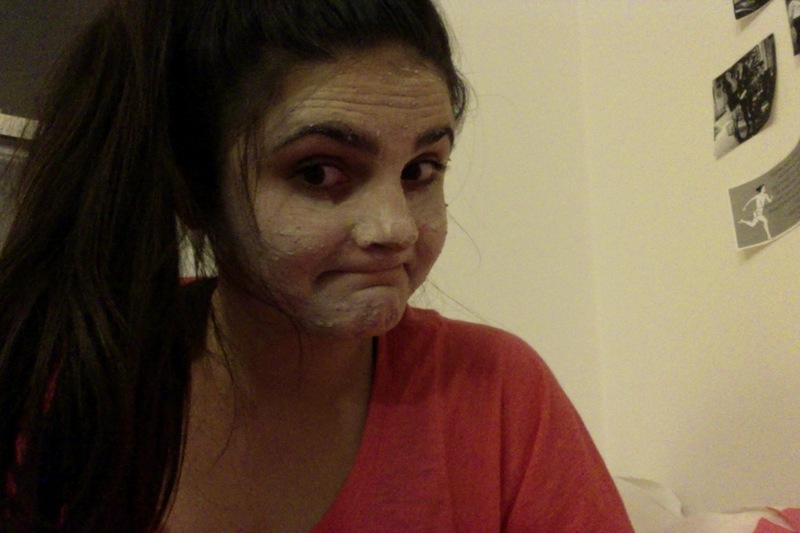 I also wish I could lie and tell you I was doing something cool and fun like testing out ghostly make-up for Thursday and not just wearing a face mask while typing up this post and procrastinating the terribly overdue lecture of Frankenstein.. I am still using all the non make-up products I mentioned here and here, but since I am nearly out of the Clarins ones, I’m hoping to find a good alternative to test out and keep my skin looking young and fresh. I’ll probably be trekking to my makeup and skin care mecca (otherwise known as Sephora) sometime soon to find something fun. Any recommendations? 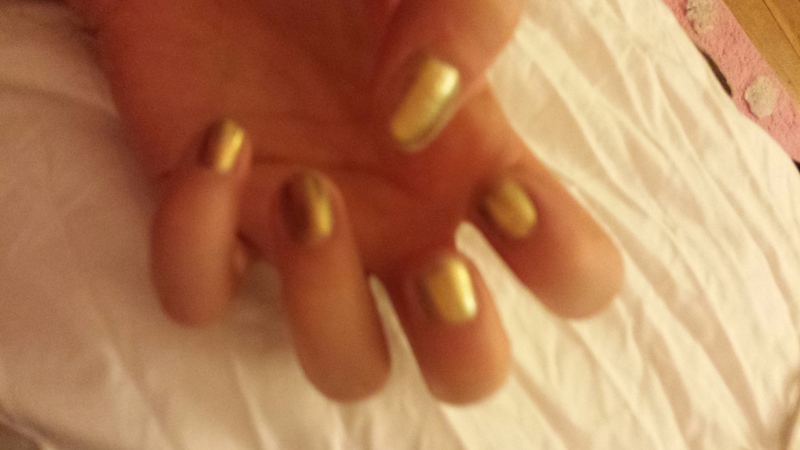 Anyhow, let’s look at the manicure I technically applied on Monday but was too caught up in reading Keats (ha I wish!) 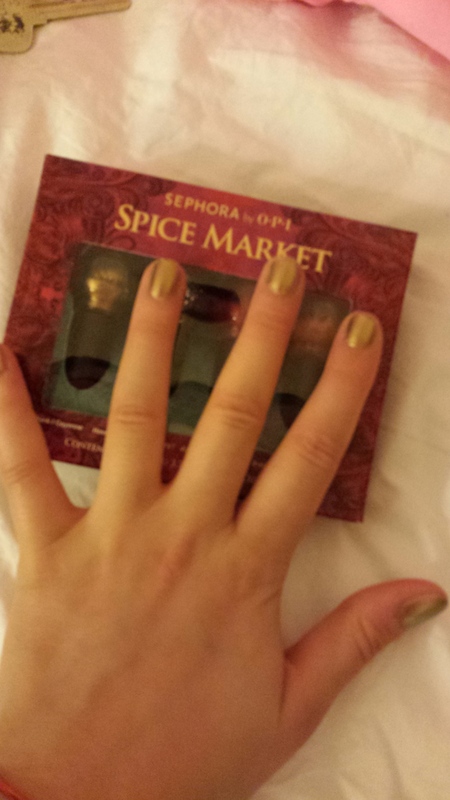 that I didn’t manage to post about it..
It’s a OPI for SEPHORA brand and it’s called S-age is just a number! 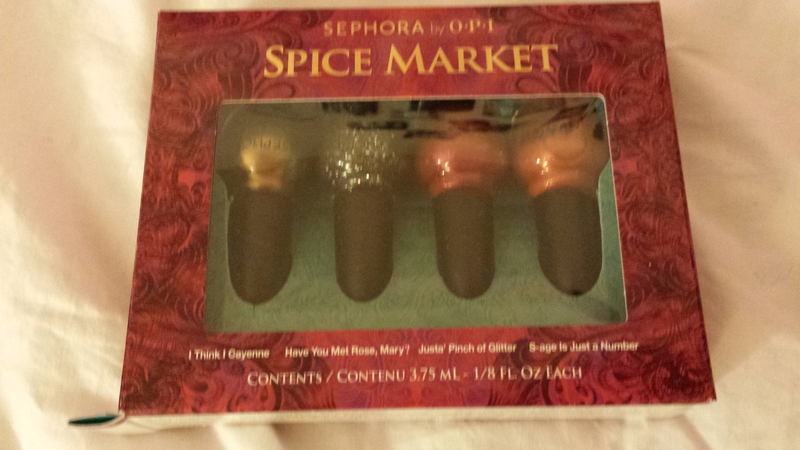 It is part of the Spice Market collection that was on sale for a while. It’s a miniature polish and dried very quickly. 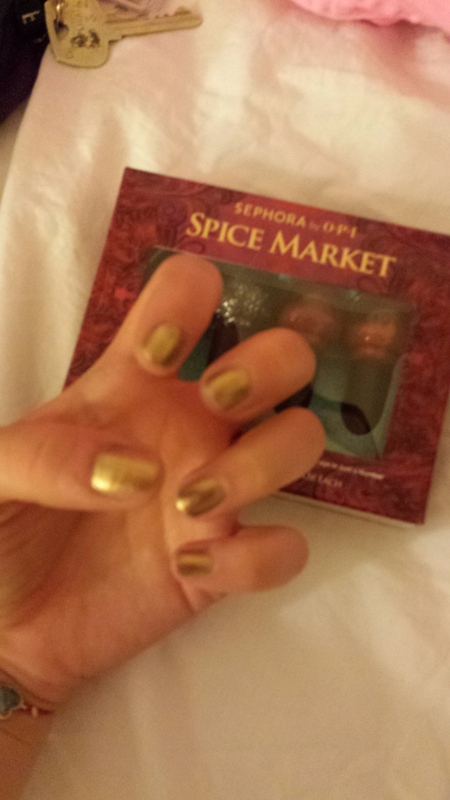 Also, because it is a SEPHORA brand and not purely OPI it is much more affordable (Especially on sale ;)). Please excuse the out of focus pictures. My phone charger spontaneously decides to not work on a now daily basis and I am left with no other option than to take pictures with my laptop’s PhotoBooth..
It’s a pretty colour! Does the Sephora range last as well as the traditional OPI polishes?